HI! Today I have a totally Punny card! I couldn't resist. 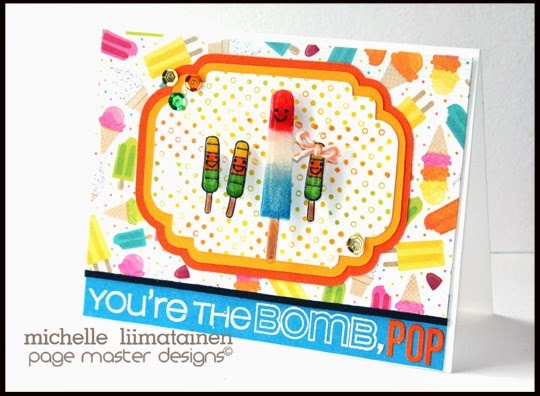 The second I saw this new Card Kit from Simon Says Stamp I just had to make it. Ever have that happen? This card was a nightmare for me though. I went waaaaaay out of my comfort zone, then I tore it apart, made a CAS card, hated that and went back to the original. LOL. Anyhow, it's done and I am happy with all those bright, bold, summer colors! I used Colorbox Frost white ink and Hero Arts White embossing powder. hi Michelle! sweet card, I so luv the sentiment....FAB! So glad you played along with Simon Says Stamp Wednesday Challenge! 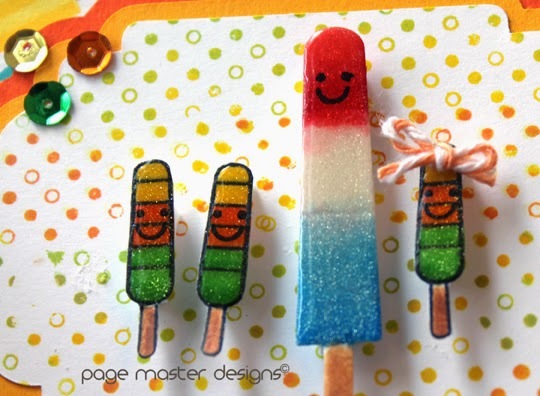 Your ice pops look good enough to eat! Such a fun card, Michelle!